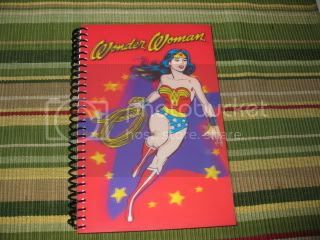 This is going to be a FAST post because I STILL have to get in a circuit workout plus CORE workout and journal ~ whew! I am skipping out on my Honey Hair Spa Treatment tonight because it has Kiwi and I am allergic to it. Let me know if you all want to recipe and I will post it. 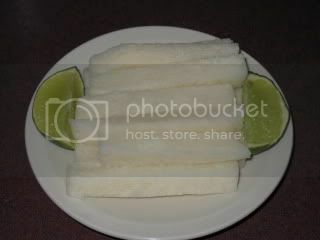 I gave Jicama another try this afternoon for snack ~ I had about 1 cup sprinkled with lime juice and a dash of sea salt. I stopped at Target tonight and found the absolute PERFECT for me journal. It’s how I am going to feel AFTER Bikini Bootcamp. 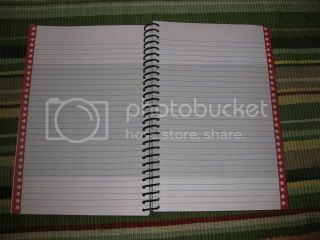 I LOVE how all the pages have stars on them ~ that is how I will feel each day when I write in it ~ Like a star! LOL – ya, ok, I am corny. I decided this morning that meditation and yoga are NOT the same without the soothing music. 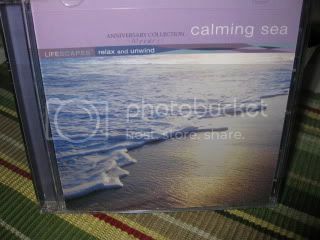 So, I made sure to pick up a “calming sea” CD that I plan on playing tomorrow morning. I think that along with my scented oil and dimmed lights will set the beach mood. I thought I should show you all my cool Oil Aroma Thingy from The Body Shop since I didn’t explain it too well this morning. 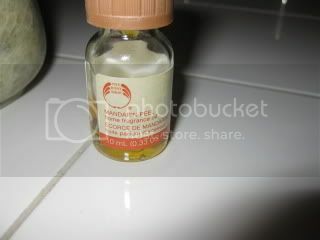 I LOVE the smell of Mandarin Oranges and that is the scent I picked for my “senses”. 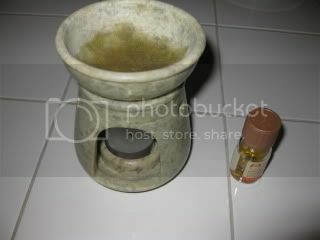 You drop about 3-4 drops in this stone container and light the tea light candle below. Within 5 minutes, the whole room smells fabulous. 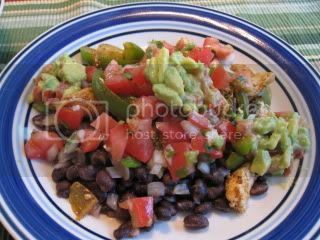 I was starving once again by the time I got home and decided to cook dinner/blog before doing workout #3 of the day. I LOVED everything about dinner tonight, but, I have to say it was a bit much to make it ALL. I think Angelea and I can officially open my own Mexican Food Restaraunt after making our dinners tonight! ** If you want any recipes, just leave a comment and I’ll post them tomorrow. 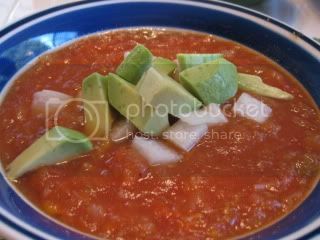 We started out with 0 WWP Tortilla-less Tortilla Soup ~ it was delicious! I spiced it up a bit by adding chili powder, cumin and paprika to make it more tortilla soup like. I LOVED the crunch of the Jicama and the creaminess of the avocado. It was filling on it’s own. Ok, are you ready for ALL this stuff I had to make just to make up Chicken Fajitas. Here it goes! 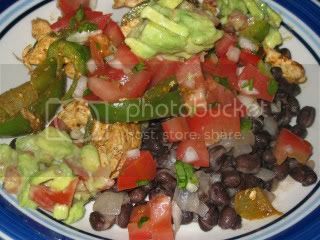 Black Beans ~ so easy and tasty, I will definitely make these again. 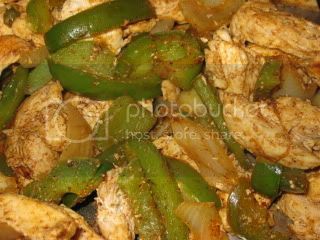 The Chicken Fajitas ~ I spiced them up by adding Veggie Terrain’s Taco Seasoning (My FAVORITE seasoning EVER, but, I am sure you all know this by now). 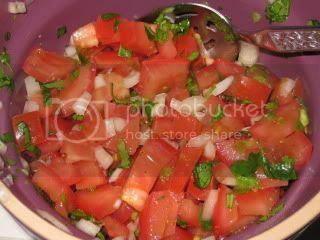 Homemade Salsa Fresca, a.k.a., pico de gallo ~ I used Garlic Salt for the Sea Salt as the change from the book. 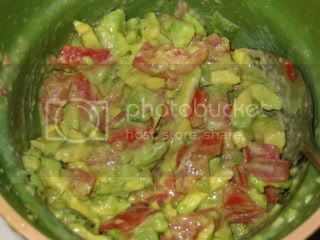 And finally, homemade Guacamole (with garlic salt for the sea salt). These chicken fajitas are tortilla-less as well, you just pile it ALL up on your plate. This was the actual serving that the book called for ~ crazy, huh? I couldn’t finish it all as much as I wanted to! I had about 2/3’s of it before giving it to The Husband to finish off. Dessert is supposed to be a Fruit Kabob, but, I am not sure I’ll be hungry enough. We will see how I feel after my workout. Speaking of workouts, I better get going if I am ever going to fit in my circuits and CORE. Nite All ~ I promise a day 1 recap summary with my thoughts in the morning. MMM…You have inspired me for Taco Tuesday! Those black beans look divine, and that guac – oh my!! MMMM your tortilla-less fijita looks so good! 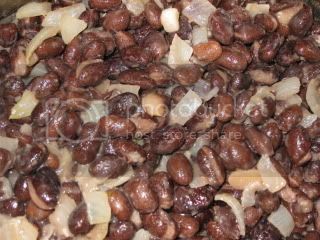 I am gonna go straight into the kitchen and start soaking some black beans to cook tomorrow! The jicama looks really interesting! And I’d love the recipe for the tortilla soup– it looks delicious! All of that food looks DELICIOUS! The recipe for tortilla soup would be wonderful! Where do you find jicama in the grocery store? Is it canned?